The PVD311 application is available 24/7 but constituents should make sure that urgent matters are reported using the above-mentioned resources. To meet high levels of constituent service needs, the PVD311 phone line may be activated outside of regular business hours. If the phones are opened for extended time periods you will be notified via the news, social media, and a push notification from the app. If the object in question is privately owned (eg. a tree on private property), it is the responsibility of the property owner to hire a professional (eg. an arborist) to take care of the issue. However, if the issue is impacting a public space (road, sidewalk, etc.) it should still be reported via 311. Downed lines should be reported to National Grid by following the information in this link and by calling 1-800-465-1212. If the issue also involves a city service component (for example, a city tree has fallen and downed power lines), the constituent should report the tree component of the issue by dialing 3-1-1. All power outages should be reported to National Grid by dialing 401-465-1212 or by visiting this link. To check the status of an outage or confirm if it has already been reported, a constituent can view the power outage map. The map is updated every 15 minutes and includes location-based information about the status of an outage including crew assignments and recovery estimates. Unless otherwise indicated, regular trash and recycling pickup will be provided on your normal day. You can defer questions to 3-1-1 or by calling the Waste Management Customer Service Line at 1-800-972-4545. Unless otherwise indicated, storm debris (objects) like broken pieces of property must be disposed of (if it fits) in your normal trash/recycling bins. If the item is larger than a normal bin can handle, a bulky item pickup should be scheduled. Information on bulky items can be answered by calling 311 or by visiting this link. Storm debris from private property (brush, tree branches, etc.) that is one inch in diameter or less must be bundled together and be cut down to less than 4 feet in length for it to be disposed of in a yard waste bin. Yard debris must be placed in paper bags or in open barrels clearly labeled YARD DEBRIS. 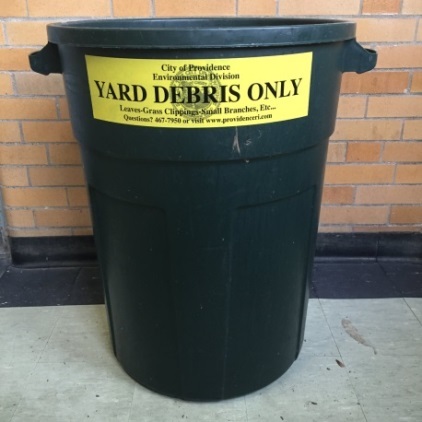 You can pick up a yard debris sticker at DPW (700 Allens Ave.) or in the Mayor’s Center for City Services (City Hall Room 101). Larger yard debris and private trees must be disposed of by the property owner or a private company they hire.